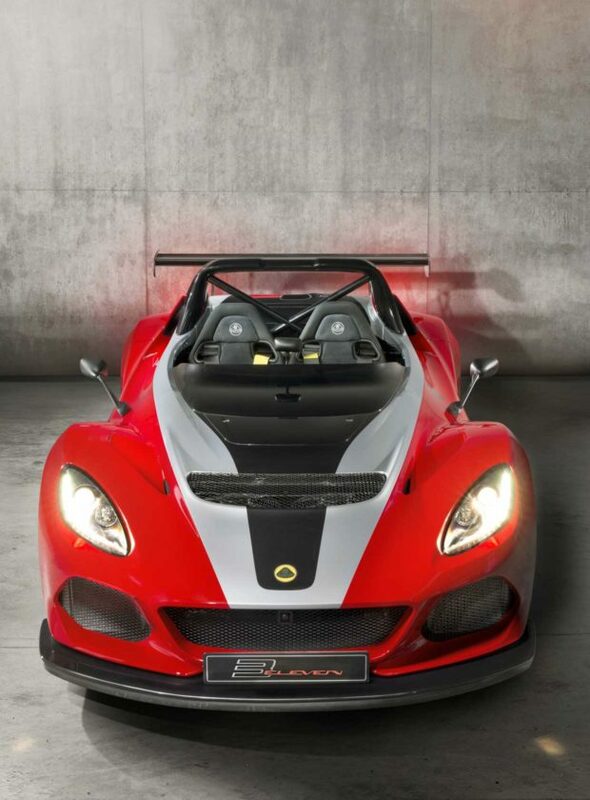 Lotus has saved the hottest version of the sweet 3-Eleven street-legal track day car for last. The sports car maker has just unveiled the 3-Eleven 430, which packs 430 hp thanks to a supercharged 2.5L V6 engine. That engine also makes 325 lb-ft of torque. That is enough grunt to push the car to 60mph in 3.1 seconds. It also tosses the 3-Eleven 430 around the Hethel test track in 1 minute, 24 seconds, making this the fastest Lotus ever around that track. 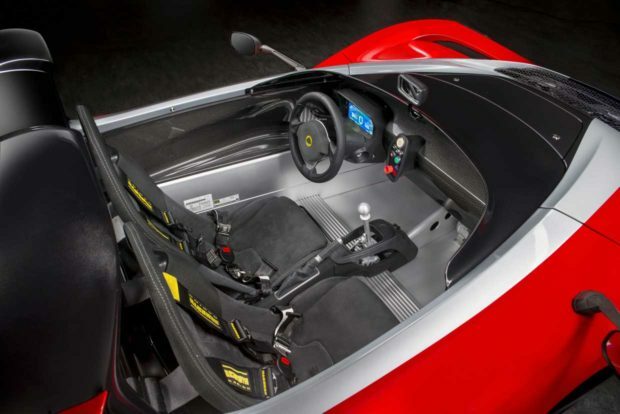 The car weighs just 2028 pounds thanks to ample quantities of carbon fiber, which is exposed on the sides of the car and on the interior as well. Its lightweight construction puts its power-to-weight ratio at an impressive 467 hp per ton. 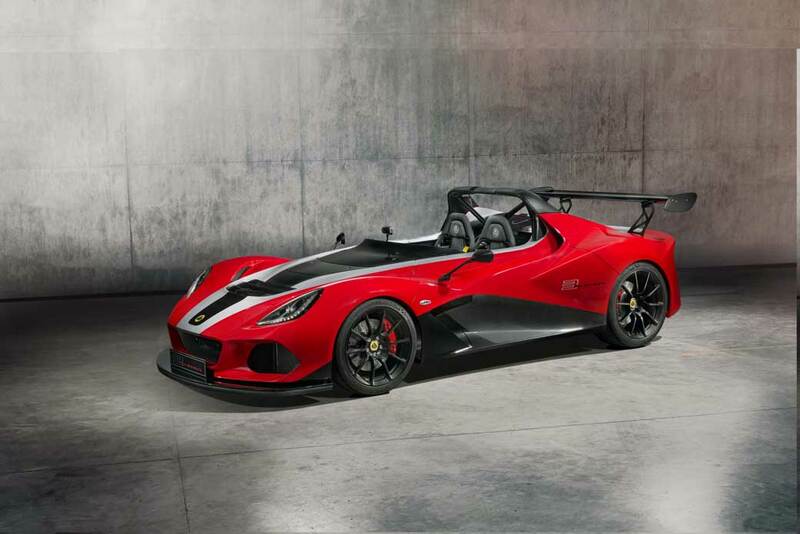 Lotus also tweaked the aerodynamics of the 3-Eleven with a new wing, front splitter, and rear diffuser making an astounding 564 pounds of downforce at the car’s 180 mph top speed. The car features a 6-speed manual transmission, Torsen-type limited slip differential, 6-position variable traction control, and Michelin Cup 2 tires. 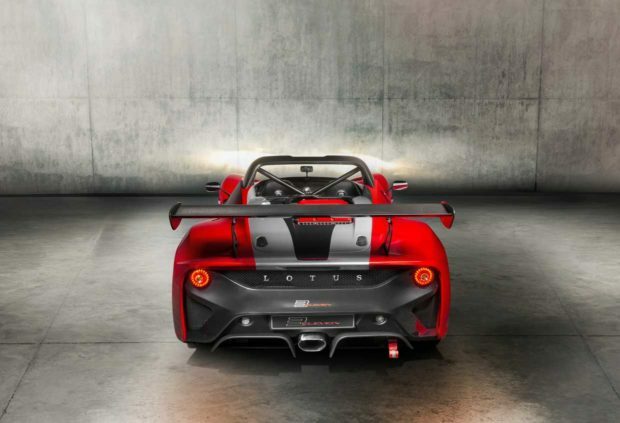 According to Lotus, it’s is capable of and impressive 1.5G lateral acceleration. Only 20 units will be made, and priced at £102,000 (about $142,000) including VAT and on-the-road costs. Unfortunately, it sounds like we won’t be seeing this track day beast outside of the UK.